An icon of genre television turned twenty years old over the weekend. Buffy the Vampire Slayer celebrated the twentieth anniversary of its first episode airing on Friday, not only reminding many of us Scoobies exactly how old we are but also giving fans, cast members and countless media sites the opportunity to look back on the show fondly. Buffy’s influence on the current landscape of television cannot be overestimated; many credit it as the series that set the stage for what we call the today’s Golden Age of television, but even if you don’t agree with that it is impossible to deny that Joss Whedon helped bring the art of longform serial storytelling back in a major way with the series (and Angel, which followed). The show also influenced the portrayal of female protagonists on television as well as making way for a rise in genre television, not to mention the rise of geek culture and fandoms. Countless shows that we have enjoyed and do enjoy today such as Lost, Agents of SHIELD, American Horror Story, Alias, Jessica Jones, Arrow, The Walking Dead, Game of Thrones and even the likes of serial dramas like The Americans, Breaking Bad and Sherlock in part of whole owe their existences — or at least their abilities to get on the air — to Buffy. In honor of the show’s anniversary, I thought this week would be a good opportunity to look back at the show and in retrospect, see how the various seasons stack up against each other. For the most part, even the lesser seasons of Buffy added up to pretty good television. The “lower-tier” arcs always had plenty of good moments and a lot to enjoy; they just fell short against stronger competition. There is, of course, always an exception. And that exception is season four, often called “Buffy: The College Year.” Following the emotional high and major arc completion of season three, there was always going to be some letdown but season four was just not great in a lot of ways. Joss Whedon had officially split his attention in order to shepherd Angel and the lost focus made for a half-hearted effort in many ways including iffy supporting characters, weak villains and a meandering, muddled storyline that felt like it was being made up as it went along. That’s not to say that everything in season four is bad, mind. “Hush” is one of the best episodes in Buffy’s entire run and the introduction of Tara, as well as the return of Spike and the handling of Willow’s coming to terms with her sexuality were all done well and had important impacts on the show. But those positives are swallowed by a gulf of negatives. Adam and Maggie Walsh — and the military-like Initiative by association — are deeply uninspired concepts, while poor Riley Finn was brought in as the character to be the next love interest for Buffy and fell flat on his face in just about every way. Episodes like “Beer Bad” and “Where The Wild Things Are” drag the season down with their heavy-handed moralizing and the pacing of the overall arc was really off, with enough starts and stops to induce whiplash. Season four is a chore to get through at times and easily the worst of the seasons. While season four is the worst season of Buffy the Vampire Slayer without question, in many ways I get more frustrated by season seven. The show’s final season is the very definition of “missed potential,” ending on the right note but taking many missteps on the way there. When Whedon set out to plot out the final stamp of his series, it is clear that he had the idea of legacy on his mind and there are parts of that which really work. Finding herself bringing in potential Slayers due to an attempt by the First Evil to snuff them all out and end the Slayer line, Buffy finds herself in a position of passing on everything that she knows. It’s a nice full-circle for the character to rise to the level of teacher. Unfortunately, much like season four this one is let down by disappointing villains. The First Evil was a great idea in theory and having it take the form of others was a nice touch, but never really utilized to its potential. And the Turok-Han (or “Ubervamps,” if you prefer) suffered from the idea of both Villain Decay and Ninja Syndrome, in that the first one was nigh-unstoppable and then as the season progresses they get progressively weaker until in the finale they’re getting killed en masse by barely-trained, just-awakened Slayers. The most disappointing villain by far though was Caleb, the misogynistic serial-killing preacher played by Nathan Fillion. Fillion brought charm and menace to the role, but the character was never utilized to his potential and mostly stood around being ordered to do terrible things to the Slayers. Buffy as a series was always as good as its Big Bads, and those were lacking in an otherwise pretty-good season seven. The first season of Buffy suffers from the same problem that most first seasons do, particularly in ensemble genre shows: getting everything to gel properly. This isn’t a deal-breaker, obviously; the fact that Buffy continued on and became the cultural touchstone that it is proves that much. That being said, it’s pretty clear that in the first, truncated season that Whedon and his crew were still getting a handle on what they wanted to accomplish and the cast, while generally great, still had just a little bit of gelling to do. Part of that has to do with the fact that Whedon was trying to serve two masters in terms of using the 1992 film as a springboard to the series and yet differentiate his series from all the things that the film changed about his original concept. That leads to a bit of awkwardness early on as Whedon tries to establish his world and goes a little too broad at times. Those criticisms are less impactful when taken in context though, and particularly when set against the positives. While the cast was still trying to figure out where they fit against each other at times, they’re all great individually right out of the gate and Whedon’s dialogue changed the way that Hollywood wrote teen characters for a very good reason. The mix of humor and horror works right from the start and The Master makes a great first Big Bad for Buffy, played with malicious relish by Mark Metcalf. It was clear from the first season that Buffy had something great going on with it and if it needed just a little bit of time to get its legs underneath it, there was more than enough good stuff there to give it the time it needed. Ahh, now we get to the controversial one. The sixth season of Buffy is the most polarizing season among the fandom as a whole, and for good reason. Season six came at an odd time for the show, as it made the jump from the WB to UPN after a season five finale that saw Buffy sacrifice her life to defeat their greatest threat yet. Season five was one of the show’s most popular and planned as a possible end to the series years in advance. As such, much like season four the sixth season had an impossible task of living up to what had just come before. Many automatically saw anything beyond the fifth season to be a cash in, especially with the jump to a different network, and when the sixth season took a darker tone and saw Buffy and Willow in particular making some questionable moral decisions, a vocal portion of the fanbase were less than pleased to say the least. For my money though, the darker tone of season six was to the show’s benefit. Things couldn’t just go back to the way it was before after Buffy’s death and that moment sent shockwaves through the rest of the cast that, however controversial, played out in a fashion that felt real to the characters. Willow’s descent into magic addiction and Buffy’s falling into an unhealthy relationship with Spike were portrayed well, one moment of a house being destroyed via coitus aside, and while they were less charming and impressive than previous villains the Trio of Warren, Jonathan and Andrew were uncomfortable in all the right ways. 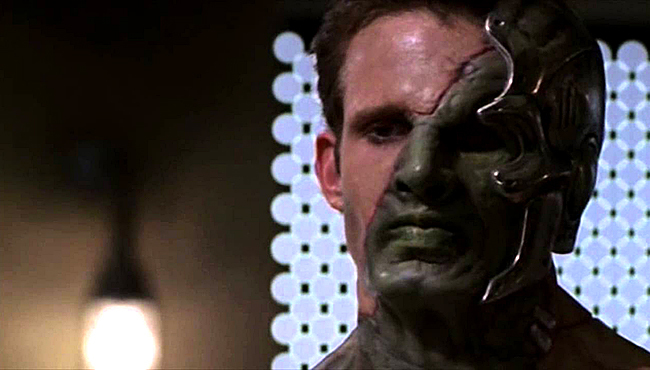 The season also contains some of the best episodes of the series including the mindscrew that is “Normal Again,” the mindwipe episode of “Tabula Rasa” and a little thing called “Once More With Feeling.” I fully understand why people are not fans but for my money, season six was an underrated and thematically-deep pace for the show. As I said above, while the first season had some great stuff going on it was season two when Buffy first achieved real greatness. After the first run of episodes cleared out the awkwardness, Whedon hit the ground running in season two when he had Spike and Drusilla walk in and destroy the Anointed One, representing a big change in the vampire population of Sunnydale’s game. Season two took the groundwork that was done in the first run and expanded it out into a greater world, establishing deeper relationships between the core characters and subverting expectations. Nowhere was that more evident, of course, than the character of Angel. Angel was a well-played character trope in season one, but still a trope and turning him evil after he and Buffy consummated their relationship was not only a tragic gut punch, it was also a nice way to twist expectations and allowed David Boreanaz to really cut loose as an actor. The impact of season two was felt throughout the rest of the series, and on into Angel as well. 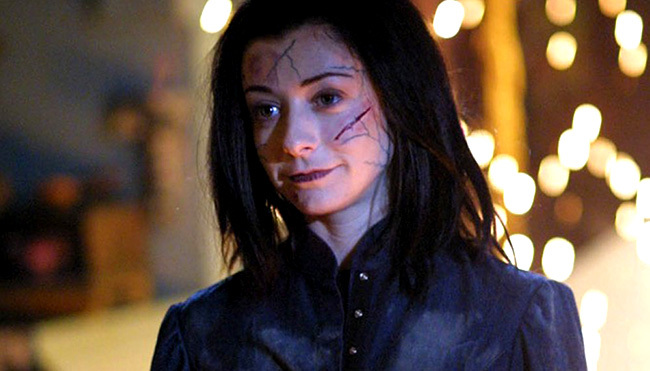 Spike and Dru became essential characters to the lore and the death of Jenny Calendar established the still-existing expectation that no one is safe on a Whedon show. That was one of the biggest early shocking moments on Buffy and in terms of tragedies it’s hard to rank any of them, with the possible exception of Joyce and Tara’s deaths, ranking as high as it. Season two was the episode that sent the series rocketing toward the heights that it would become known for. This may be a little bit controversial, because many people consider season three to be the pinnacle of everything that Buffy represents. And don’t consider this a slight against this run because the line between #2 and #1 is razor thin for me. Certainly, season three is one of the two seasons where the show was firing on just about every cylinder. Many of the show’s iconic moments came out of this season: the introduction of Faith and Wesley Wyndam-Pryce, the Mayor and everything that he entails, Angel’s resurrection and redemption, the “Vampireverse” alternate reality, Anyanka’s arrival and so many more. Season three was the run that the first part of the show was building to and it rose to meet all expectations. Sacrilege? Not in my book. As fantastic as season three was, the fifth and final season on The WB is the apex of what Buffy had to offer. Where to even start? Let’s begin with the Big Bad of Glory, who was ingeniously played with a mean girl glee by Clare Kramer. Buffy and her gang had faced increasingly dangerous threats as the seasons progressed, but they’d never faced a god before. Season five gave them that chance, and it tested them in ways that they never expected. This season saw the protagonists put through their paces while they also had to deal with a new development in Dawn, Buffy’s “sister” who suddenly appeared even though they’d all believed they knew her for years. Michelle Trachtenberg got a lot of crap for her role as Dawn, and while the character is certainly annoying at times she also did quite well at what she was intended to do, making the stakes personal for Buffy instead of just trying to save the world. It was the chemistry between Sarah Michelle Gellar and Trachtenberg that made it work; the two worked very well off of each other. Season five isn’t just about the hellgod and the key, though. It’s perhaps the most fun that the show ever was, and had what — with all due respect to “Hush” — is its greatest singular episode in “The Body.” This soul-crushing episode that deals with the death of Joyce is one of the most brutally emotional moments in modern television history, thanks to Whedon’s stellar writing and the cast’s heartbreaking performances. We also got the wonderful “Fool for Love,” which explored Spike’s history in a way we hadn’t seen before, and the single-best finale in the show’s history. “The Gift” was considered to be a possible series finale and while I enjoyed what came after, it would have been an amazing way to conclude the show. The fifth season was the culmination of everything Buffy represented and now, twenty years after the show debuted, stands as the best season of its seven-year run. Most shows can only dream to get a season as good as this one sometime in their runs.